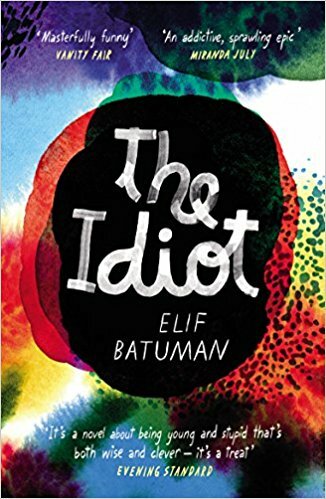 Elif Batuman has had remarkable success with her debut novel, The Idiot. The American author, academic and journalist has long been a non-fiction writer for The New Yorker, but her turn to fiction has already garnered her critical acclaim – she was a Pulitzer prize finalist and made it onto the shortlist for the Women’s Prize for Fiction. Many things about The Idiot are, on its surface, quite simple but they are exactly the things that make this book a pleasure to read. To begin with there is the plot: the protagonist Selin lands the chance to study at Harvard and the novel chronicles her coming-of-age story as she deals with the challenges of university life and adulthood. The concept, although not the most elaborate, harkens to experiences most of us can identify with. These experiences are told from Selin’s perspective through the first-person narration. about whether they were really a part of Europe. Instances like these capture the university experiences of many in a direct and rather effective manner. The directness of language and its observational narrative style make for a peculiar viewpoint for the reader, which feels as if Selin is being followed, but from a distance. Selin narrates her experiences with little emotion or reflection upon them. This objective detailing of the world and how she views and interacts with it is conveyed through short sentences, much like a report: “We got back to the hostel at three. Dawn talked nonstop, even while brushing her teeth. The pillows were the same size as the ones in Ivan’s attic. Dawn was testing her radio clock, causing a Hungarian woman to talk in our room”. The abundance of techniques which may seem straightforward and make The Idiot sound uneventful or boring are overshadowed by its vivid depiction of characters through dialogue – another testament to Batuman’s keen observational skill and understanding of human interaction. The intricacies of the novel lie in features that are outwith its main plot. Batuman balances the plot with intersections of a Russsian novel from Selin’s class. In it, a character called Nina searches for a man called Ivan. These moments are contrasted with Selin’s own experiences and perhaps refer to her own Bildungsroman journey and self-discovery. Similarly, an inspection of the novel’s epistolary moments reveals the nature of Selin’s relationships with others and their complexities. The Idiot brings to mind an unlikely comparison with John Williams’ novel Stoner – which I found pleasurable in a comforting sort of way. The unadorned style of both novels holds a familiarity and warmth which makes reading them an effortless and almost addictive experience. There seems to be a delight in journeying through both novels with their protagonists. In Selin’s case it is watching her grow and come into her own as a writer from her naïve freshman beginnings. I have repeatedly stressed the simplicity in this novel but by no means in a negative way. Beneath its plain face lie intimacy and emotion. Batuman’s writing uses its simplicity to make protagonist Selin’s acute observations accessible to the reader. The nuances of the novel can be uncovered by reading around the main text. The writer’s style may not be to the taste of some readers but a reading experience like this is uncommon these days.